Success! 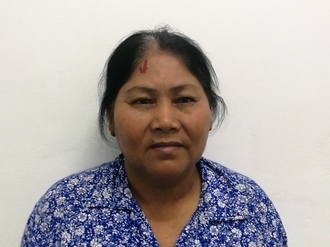 Saroem from Cambodia raised $417 to fund contracture release surgery. Saroem's treatment was fully funded on February 1, 2018. Saroem underwent contracture release surgery. Saroem’s operation went smoothly, and she now has improved hand function. Saroem will continue to do physiotherapy and looks forward to being able to do everyday tasks with more ease. 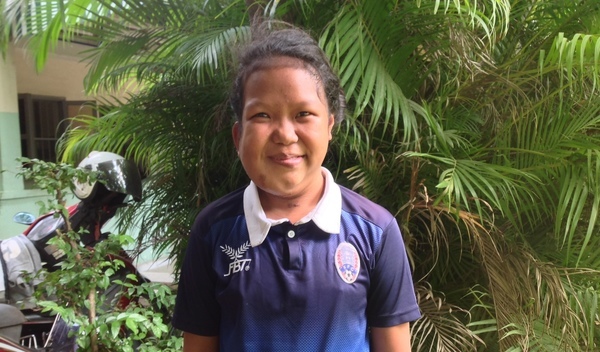 Saroem is a ninth grader from Cambodia. She has three siblings and enjoys spending time with her family around the house. In the future, she would like to be an English teacher. She has a congenital disease called neurofibromatosis and has developed a contracture on her right hand. This limits her ability to write, eat, and complete everyday tasks. Saroem traveled to our medical partner’s care center to receive treatment. On December 6, surgeons at our medical partner, Children’s Surgical Centre (CSC), will perform a contracture release procedure. Now, Saroem needs help to raise $417 to fund this procedure. We are also fundraising for her mass excision procedure. Saroem's case was submitted by Lindsay Bownik at Children's Surgical Centre in Cambodia. Saroem was submitted by Lindsay Bownik, Stakeholder Relations Officer at Children's Surgical Centre, our medical partner in Cambodia. Saroem received treatment at Kien Khleang National Rehabilitation Centre. Medical partners often provide care to patients accepted by Watsi before those patients are fully funded, operating under the guarantee that the cost of care will be paid for by donors. Saroem's profile was published to start raising funds. Saroem's treatment was successful. Read the update. Saroem's treatment was fully funded.